See Us At Hanover Book Festival! Come see Jim and John Gaines at Hanover Book Festival 2019! We will be there from 10am to 2pm. Jim and John Gaines will be signing copies of Life Sentence, Spy Station, and Jim’s anthology of short stories. Come and chat with us! 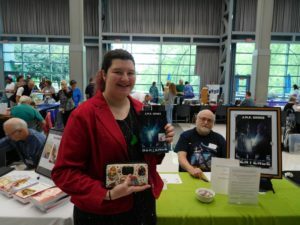 Author adminPosted on April 22, 2019 April 22, 2019 Leave a comment on See Us At Hanover Book Festival! Come see us at Mysticon 2019! Jim and John Gaines will be presenting their novels Life Sentence and Spy Station at Mysticon 2019! We will be present on all 3 days, February 22-24, 2019. Come and buy a signed copy of one of our novels, and attend one of the many panels we will be appearing on! We look forward to seeing you there! Author adminPosted on January 21, 2019 January 21, 2019 Leave a comment on Come see us at Mysticon 2019! Come see us at Ravencon 2018! Jim and John Gaines will be at Ravencon 2018 in Williamsburg, Virginia, on April 20-April 22! We will be doing readings from our books Life Sentence and Spy Station, and will be selling signed copies to any interested attendees. We hope to see you there! 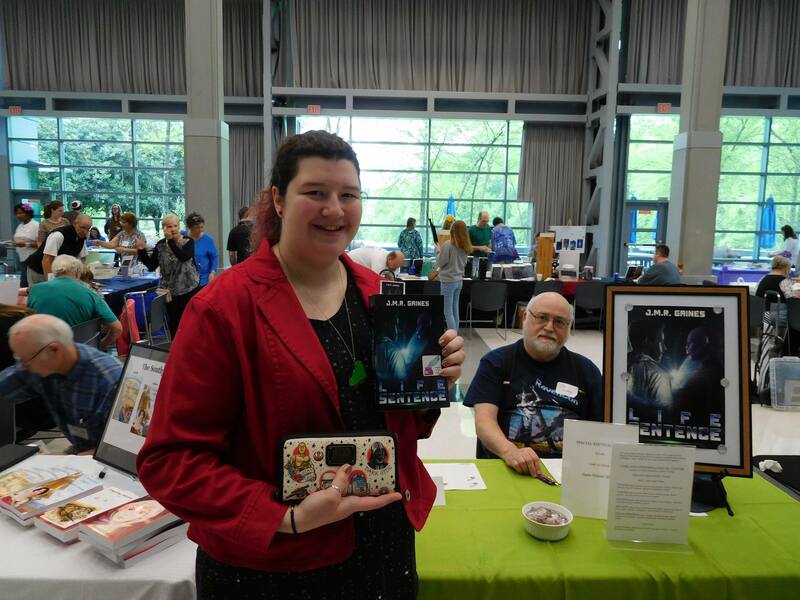 Author adminPosted on April 18, 2018 Leave a comment on Come see us at Ravencon 2018! From February 23 to February 25, we will be at Mysticon in Roanoke, Virginia. Come see us between Feb 23 at 1 PM to Feb 25 at 4 PM! We will be there, signing books, chairing panels, and talking about the Forlani saga novels. Come see us there! Author adminPosted on February 18, 2018 Leave a comment on Mysticon appearance this weekend! Pre-Halloween Giveaway! Thurs. 10/26/17. Buy a Kindle copy of space espionage adventure Spy Station for $2.99 and get one of the prequel Life Sentence FREE.Prepare for fright night with a 500-lb. telepathic locust that uses human hosts for its larvae or an 8-ft. top gun octopus that like to use its claw hooks on enemies. Author adminPosted on October 25, 2017 Leave a comment on Life Sentence Giveaway! 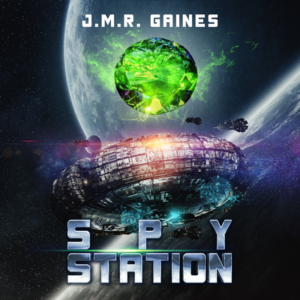 Spy Station Release: October 15! Our latest novel, Spy Station, releases October 15! Read the exciting espionage adventure sequel to Life Sentence! On a lonely space station at the edge of the inhabited Zones, fifteen vastly different species gather to stave off disaster. The Song Pai, octopus-like warriors resembling Vikings in their embrace of death, face imminent war with the Blynthians, a mysterious race rumored to be able to tinker with planets and suns. Entara, former pleasure worker become a leader of her clan among the alien Forlani, and her daughter Ayan’we are chosen to represent their world in a game of diplomacy where the clock is winding down to incredible slaughter. Author adminPosted on October 5, 2017 Leave a comment on Spy Station Release: October 15! See Jim at Creatures, Crimes & Creativity Con! The next Creatures, Crimes & Creativity Con is being held on September 8-10, 2017 at the Sheraton Columbia Town Center in Columbia, MD. You can meet Jim and talk with him about the Forlani Saga novels there! Author adminPosted on August 28, 2017 Leave a comment on See Jim at Creatures, Crimes & Creativity Con! Come get your personalized, autographed copy of Life Sentence this Saturday , May 27 at the main branch of the Central Rappahannock Regional Library in downtown Fredericksburg from 1 to 3 PM. You can become a fan like Diana, whom we met at the Hanover Book Festival. On this Saturday, April 22, we will be at the Hanover Book Festival in Mechanicsville VA from 10am to 3pm. Come get an autographed copy of Life Sentence and meet us there! We’ve posted a new article to our blog! Come read about John’s insights into dinosaur discoveries and behavior as he wrote his “dinosauroid” Garanian characters for our second novel, Spy Station!